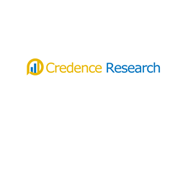 According to a new market report published by Credence Research Inc “Automotive Test Equipment Market – Growth, Share, Opportunities, Competitive Analysis, and Forecast 2016 – 2022,” the global Automotive Test Equipment Market is expected to grow at a CAGR of 6.25% between 2016 and 2023 to reach US$ 675 Mn by 2023. The automotive test equipment market is segmented into engine dynamometer, chassis dynamometer, vehicle emission test system and wheel alignment tester. In 2015, chassis dynamometer accounted for the largest revenue share. This segment is expected to maintain its dominating position with increasing installation at vehicle manufacturing plants and testing facilities. The emission test equipment segment is predicted to witness fastest growth with introduction of stringent vehicle emission control regulations across the world. The report also classifies automotive test equipment into handheld scan tool, mobile device-based scan tool and PC/laptop-based scan tool. The handheld scan tool segment accounted for the largest market share in overall automotive test equipment market by application. Mobile-device based scan tool are gaining popularity in developed regions and is expected to witness fastest growth as vehicle manufacturers are introducing advanced vehicles equipped with user friendly diagnostics and analyzing solutions. In 2015, Asia Pacific is the largest as well as the fastest growing regional market in the global automotive test equipment market. Rising expansion of automotive manufacturers particularly in India and China is expected spur this market growth through the forecast period. North America and Europe are also expected to witness significant growth due to increasing vehicle fleet and stringent vehicle emission regulations. Russia, Japan, Brazil, South Africa, Southeast Asia, GCC countries and Australia are some other major markets for automotive test equipment predicted to witness considerable growth with rising vehicle demand in these markets. The global automotive test equipment industry comprises large number of recognized multinational players. Some recognized players in the global automotive industry include Siemens AG, Robert Bosch GmbH, Honeywell Industrial Inc., Delphi Automotive PLC, ABB Ltd, Softing AG, SGS S.A, Horiba Ltd., AVL List GmbH and Actia S.A.